Maurice Patterson â€œPatâ€ Haynes, 77, of Jasper passed away peacefully at his home on Saturday, December 1, 2018 in the company of his loving family. Pat was a graduate of Cocke County High School in Newport, TN and attended Carson-Newman College in Jefferson City, TN where he met his wife, Judy Mitchell. His lifelong interest in electronics began as a hobby when he earned his amateur â€œhamâ€ radio license at the age of 13. Recognized by his official call sign K4BEH, he was active on the air up to his last day. He was a founding member of the Jasper Amateur Radio Club and could be found with them in late June every year at Lee Newton Park as he enthusiastically participated in Field Day, an annual world-wide ham radio event. His background in electronics opened doors to careers throughout his life beginning as a radio engineer and disc jockey in Chattanooga and Sevierville, TN before moving to Marietta, GA to begin a new career at Lockheed in quality control and as a flight line inspector. He left Lockheed and worked 25 years for GE Medical Systems as a Regional Service Engineer. 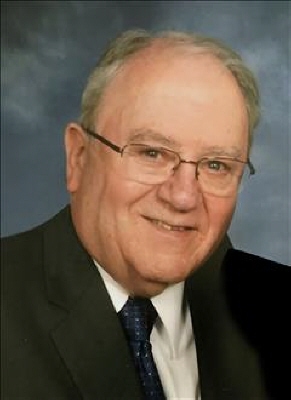 He and his family were members of the First Baptist Church of Marietta, GA until retiring to Jasper and becoming members of the First Baptist Church of Jasper. A deacon in both churches, his Christian faith was his foundation, giving him strength and assurance throughout his life but especially as he struggled with health issues in his later years. His Christian fellowship also provided him with lifelong friends that have been a blessing for his entire family. A former member of the Piedmont Mountainside Hospital Auxiliary, he was instrumental in starting the courtesy cart, providing shuttle service for hospital patients and their families. Pat is survived by his wife, Judy Mitchell Haynes; son, Edward Maurice Haynes; daughter, Michelle Haynes Pierce (Stuart Pierce); grandchildren, William Cassidy Haynes, Lauren Anne Pierce, Kyle Allen Pierce; brother, Dr. James H. Haynes (Mary Alice); sister-in-law, Susan Haynes; and many nieces and nephews. Pat was preceded in death by his father, William B. Haynes; his mother, Josephine P. Haynes; his sister, Mary Jo Haynes Allen; and brothers, William E. Haynes and Charles D. Haynes. A Funeral Service will be held 3:00 p.m., Wednesday, December 5, 2018 at the First Baptist Church of Jasper with Reverend Greg Pope officiating. The family will receive friends at Roper Funeral Home, Wednesday from 10:30 a.m. until 2:00 p.m.
To send flowers or a remembrance gift to the family of Maurice Patterson Haynes, please visit our Tribute Store. "Email Address" would like to share the life celebration of Maurice Patterson Haynes. Click on the "link" to go to share a favorite memory or leave a condolence message for the family.